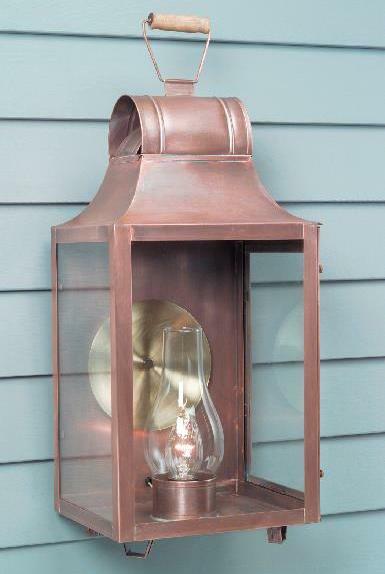 First of all, at Hammerworks we make outdoor Colonial Wall Lanterns completely by hand in the USA. 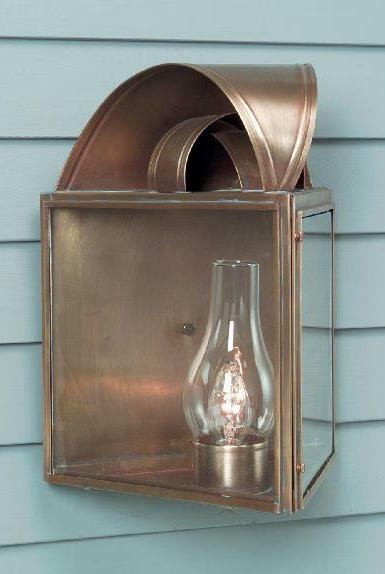 Most importantly, we handcraft each rustic outdoor wall light with historical precision and accuracy. 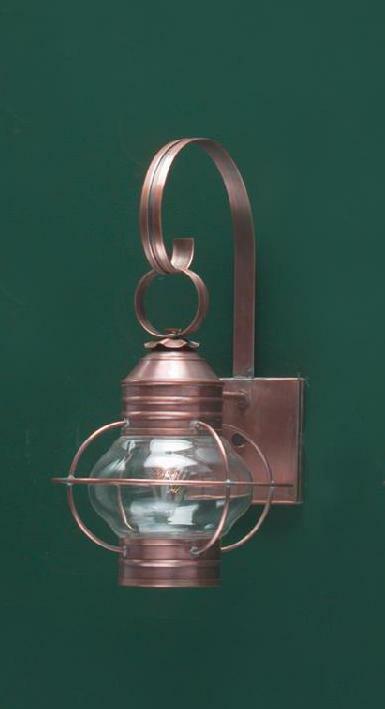 Furthermore, we create outdoor Colonial wall lights in your choice of solid copper or brass. Therefore, we can offer a variety of finish options. Not only that, the hand rubbed finish adds an attractive satin patina. As a result, it oxidizes naturally over time. 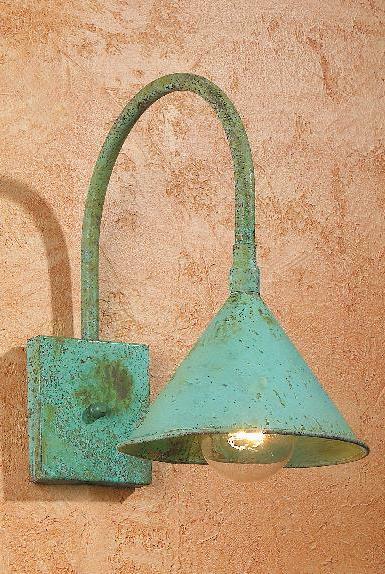 Of course if you prefer a rustic weathered appearance, we can apply a verdigris finish. In addition, we offer the option of painted black for a more polished effect. Finally, no matter which finish you choose, we offer wall lighting in a wide range of styles and sizes. Furthermore, you can select several lamp options, from a standard single bulb to a 2,3 or 4 candle configurations. 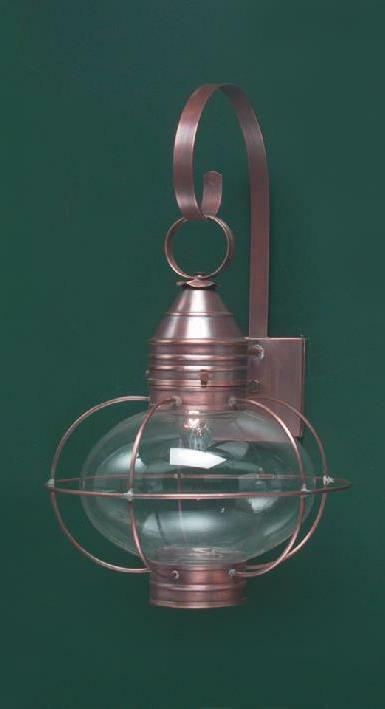 In addition, you can easily coordinate with our Colonial Hanging Lights or Post Lanterns. 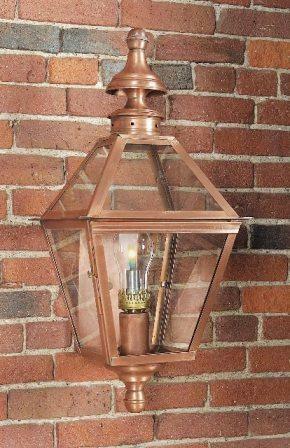 Certainly, if your design scheme calls for primitive style lighting, consider the popular Colonial Copper Wall Lanterns “Pyramid Collection”. 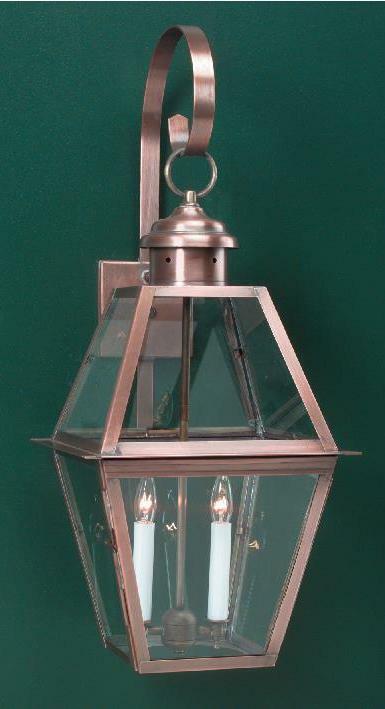 In addition, Colonial Reproduction Home Lights W102 or Cape Cod Colonial Wall Lights W106 are ideal. 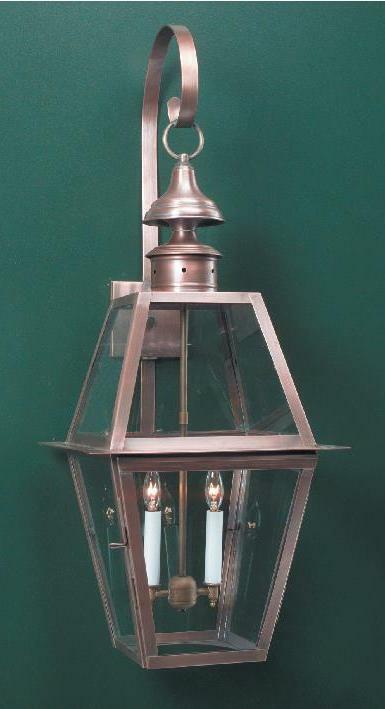 Similarly, if you prefer a classic appearance, take a look at Traditional Wall Lanterns WML102. 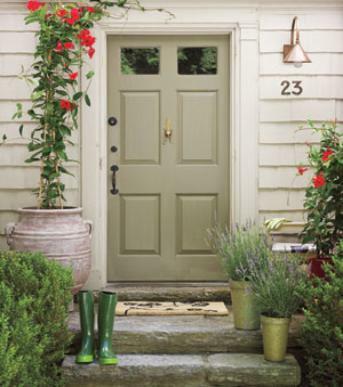 No matter what, these time-honored designs offer a popular look that is sure to please. Above all, with their simple yet refined and graceful lines, they enhance a variety of home designs. 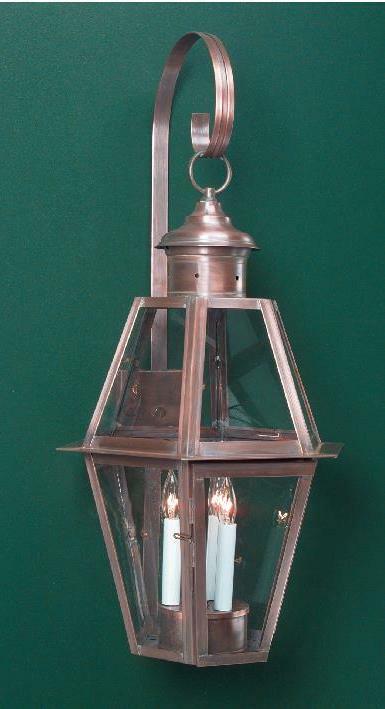 Our reproduction lighting designs also include Olde English Tudor Lighting & Arts & Crafts Lighting Styles. 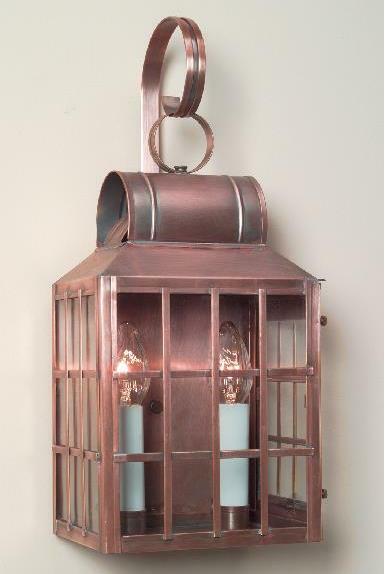 Thus, whether your home is a Traditional Colonial, Reproduction Saltbox, Cape Cod Cottage, or New England Farmhouse, our wall lanterns are ideal. 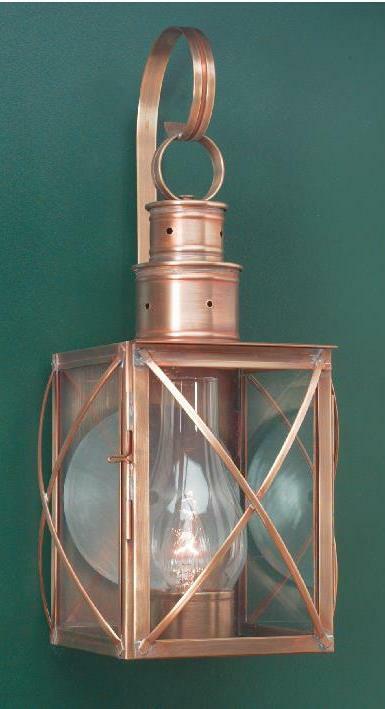 Above all, no matter the architectural style of your period home, you’ll find the right wall lanterns at Hammerworks. 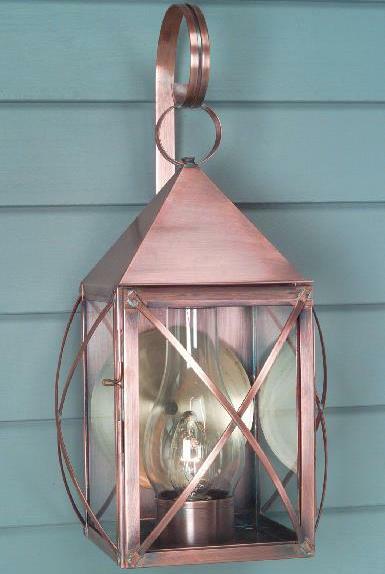 No matter what, you can be assured that our Colonial Outdoor Wall Lanterns are handcrafted. 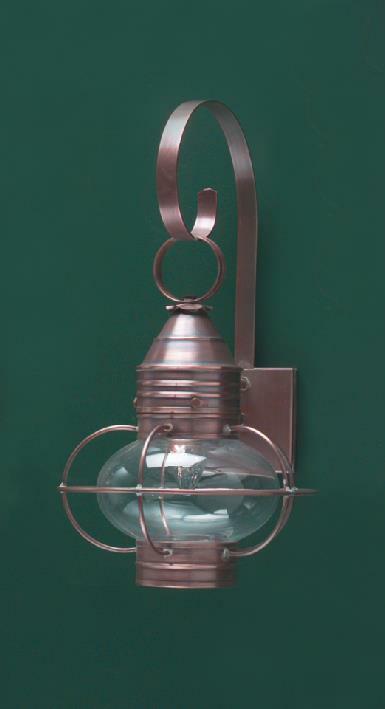 Because of this, designers for the historic Boston Tea Party Museum selected our authentic Colonial Reproduction Wall Light, Post Lights and Colonial Wall Sconces & Hanging Light Fixtures for their recent renovation. 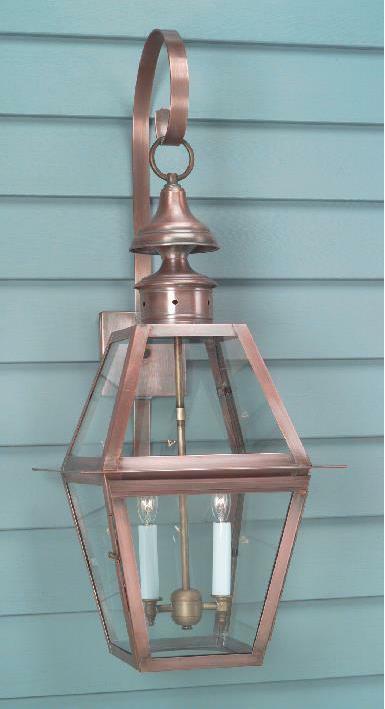 Above all, our attention to detail and quality craftsmanship guarantees you are receiving fine heirloom quality rustic outdoor house lighting. 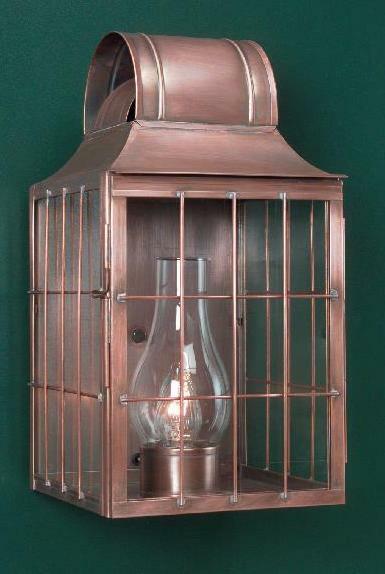 Thus, we consistently produce solidly built Colonial Wall Lanterns each and every time. 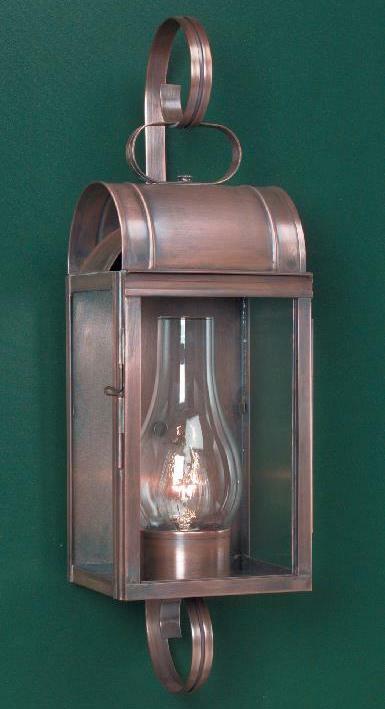 As a result, our reproduction home wall lanterns will illuminate any doorway entry to your home for years to come. 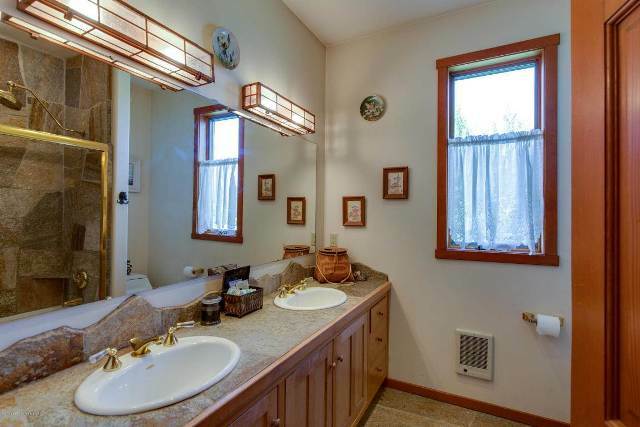 At the same time, the attractive designs add beauty to any period antique reproduction colonial home design. 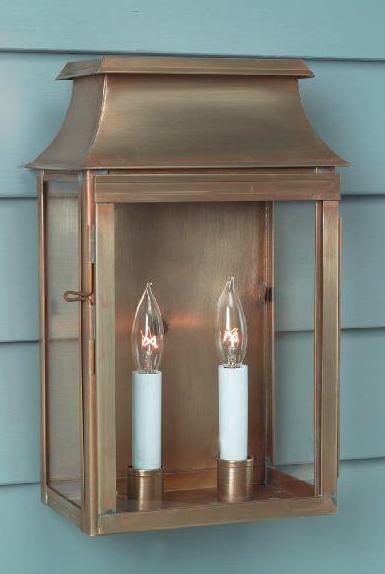 Of course, as previously mentioned, we offer a full line of Outdoor Colonial Post Lanterns to coordinate with the Colonial Wall Lanterns. 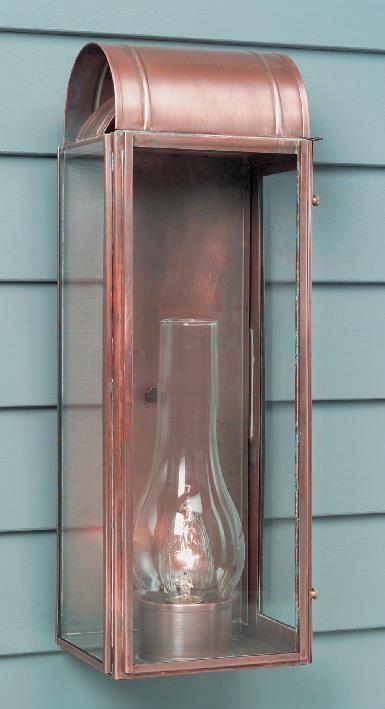 Just as with all of our quality lighting fixtures, we offer a variety of finish options for our handcrafted post tops. 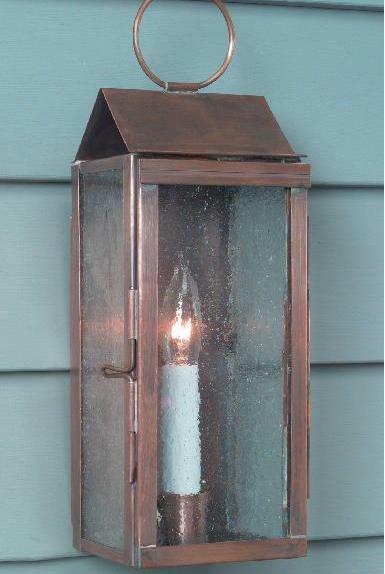 Thus, we custom make outdoor post fixtures in your choice of verdigris, painted black, antique brass and antique, copper. 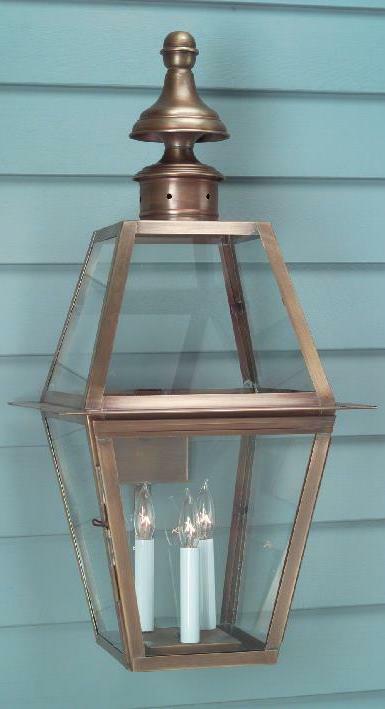 Most noteworthy, our custom outdoor post lanterns are built to last for years to come. 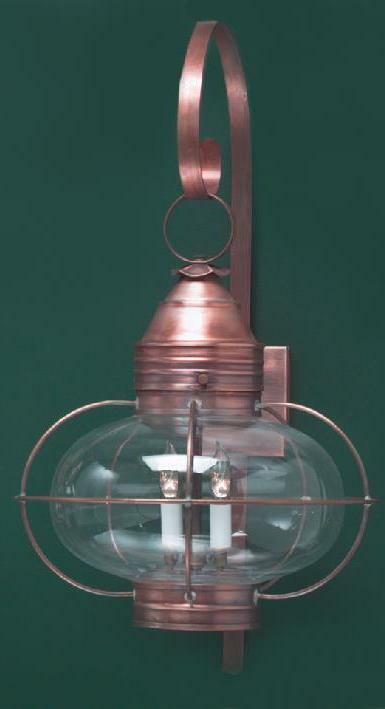 Going even further, we offer an extensive line of interior light fixture styles to complete any home design. Thus, from interior Colonial Wooden Chandeliers to exterior Gooseneck Doorway Lighting, our lighting adds character and ambiance to any period reproduction home. Furthermore, our knowledgeable sales associates are happy to assist you in making the right decision. 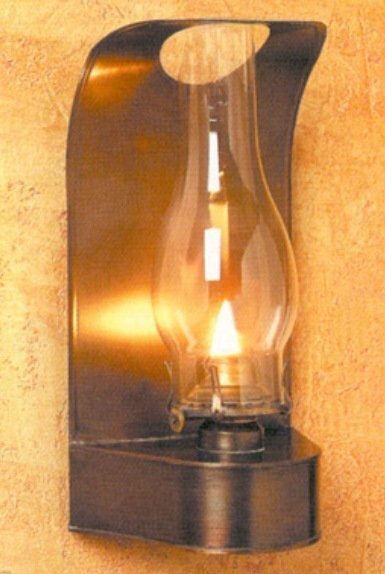 Therefore, whether your style is traditional or rustic, Hammerworks is the clear choice for Colonial home wall lanterns. 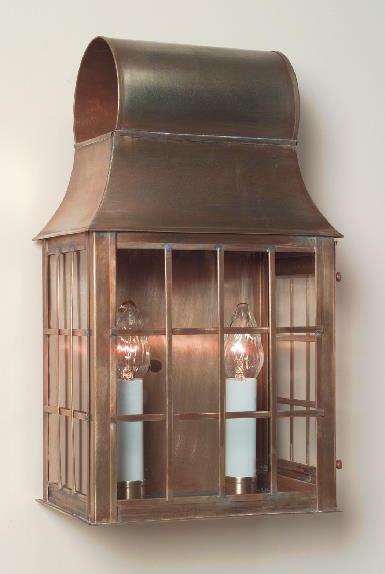 No matter what, we design our Classic Style Colonial Post Lanterns to provide a glowing warmth, just as our Colonial Tin Chandeliers. 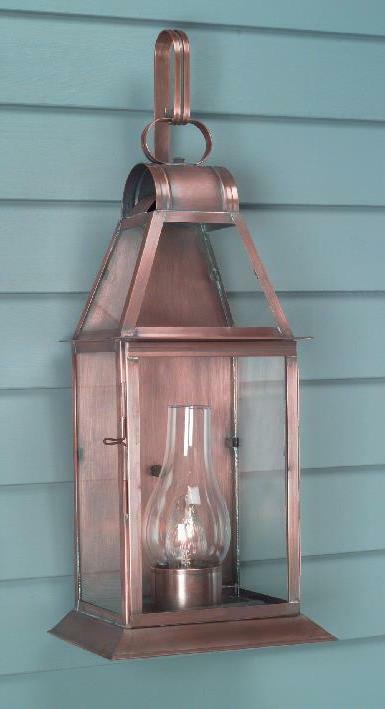 Yet the beauty of these traditional handcrafted lanterns also provide a dramatic accent in daytime. 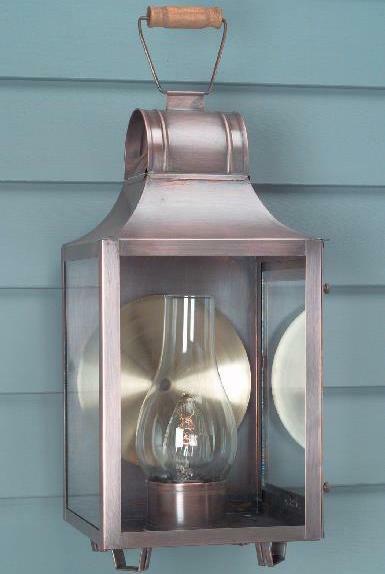 Above all, the classic style of Colonial house post, wall & hanging lanterns continues to endure today, as they have for centuries as a staple of outdoor illumination. Even more important, they still light the streets & venues of cities and towns today, just as in Early America. 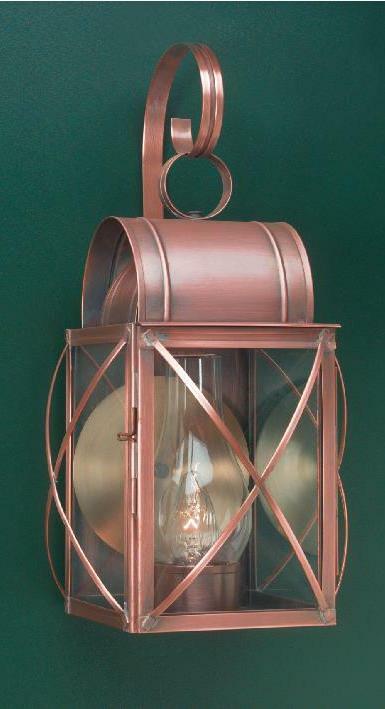 For that reason, due to the quality and accuracy of our Outdoor Copper Post Lanterns, they are chosen for municipal and historic restoration projects throughout the U.S.
Obviously, Hammerworks offers a full Collection of Colonial Lighting. Consequently, our many style options include both the interior and exterior of your home. Even more important, our reproduction lighting is appropriate for both residential and commercial use.Furthermore, for the inside, from Colonial Ceiling Lights for the smallest powder room, to large Colonial Tin Chandeliers in an expansive great room, we offer many choices. 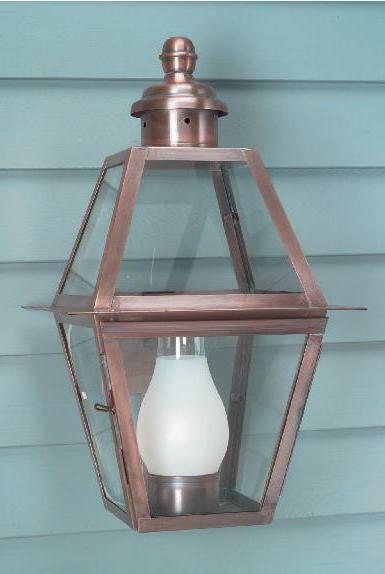 Similarly, on the outside, choose from the ever popular Colonial Post Lantern Small Sturbridge P102 for your driveway. 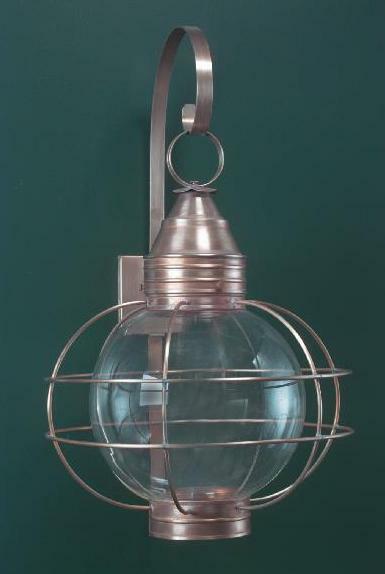 Likewise, New England Style Onion Wall Lights OL10 remains an enduring favorite. Finally, because each piece is completely handmade, custom options are always available. 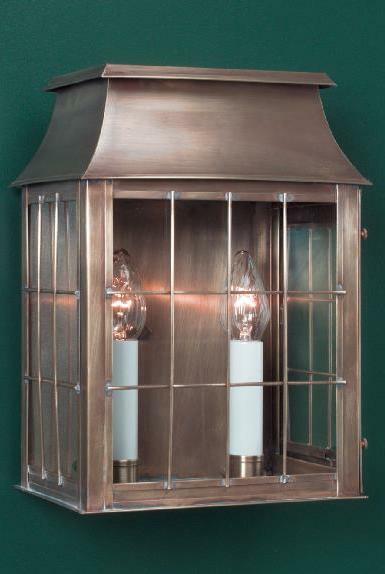 Again, most fixtures are available in a variety of sizes, styles and finish selections. Therefore, whether it is one room or an entire home, Hammerworks has you will find what you are looking for.